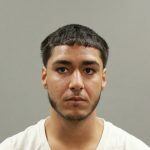 June 30, 2016 -Holyoke, Mass- Hampden District Attorney Anthony D. Gulluni hass announced arrests in connection with the homicide investigation of Ms. Carmen Rosario, 31, of Holyoke, Ma. On Saturday, June 25, 2016 at approximately 11:30 p.m. officers from the Holyoke Police Department were dispatched for a report of a gunshot victim in front of 4 Barrett Street in the City of Holyoke. The following day, on Sunday evening, members of the Massachusetts State Police Detective Unit assigned to Hampden District Attorney Anthony D. Gulluni’s Office was called to Baystate Medical Center as the victim’s condition wo rsened. On Sunday evening, Carmen Rosario, 31, of Holyoke, Ma was pronounced deceased. The investigation is now an active homicide being investigated by the Massachusetts State Police Detective Unit assigned to the Hampden District Attorney’s Office and the Holyoke Police Department. 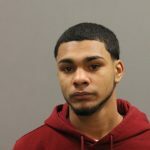 Both will be arraigned this morning in Holyoke District Court.